The Penang English Language Learning and Teaching Association (PELLTA, http://www.pellta.org/) holds its international conference every other year in Penang, Malaysia. I was fortunate to be in Penang for the one in held April 17-19, 2019, and to get a paper accepted there entitled Thinking SMALL: A case for social media assisted language learning, presented in a half-hour slot on the last day of the conference. I announced in my own social media networks that my presentation would be webcast as Learning2gether episode #409 live from Penang, Malaysia, where I would present in half an hour a case for SMALL, social media assisted language learning. I noted that since there is too much information in this topic to present it in only half an hour, therefore the presentation would be flipped, in that the full version of the presentation is made available for viewing either before or after the brief version of the presentation itself. In addition, I have had a proposal on the topic accepted at the CALL Research Conference in Hong Kong this coming July 10-12, 2019. The talk proposed for Penang is addressed at a different audience than for the two major conferences, and provides a slant on the topic that is unique to the other two presentations. The presentation materials therefore bridge the two and document the online presentations, articles, and recordings I have prepared on the topic so far. By presenting in Penang in Zoom, I intended for this presentation to augment that archive. 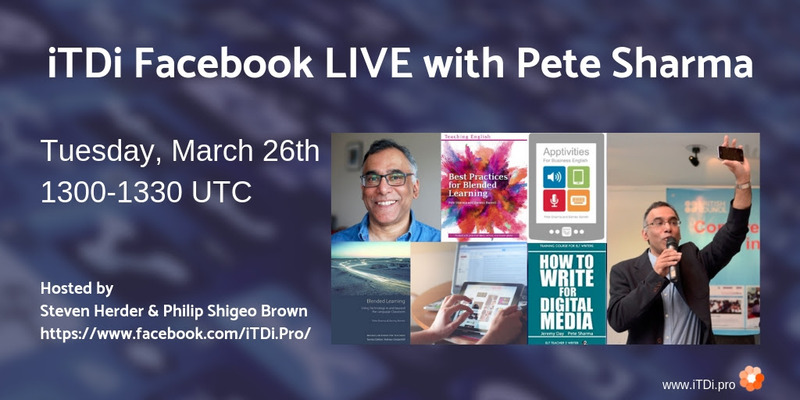 On April 18, the night before my presentation, I queued all the web pages I would be using on the presentation laptop and did a rehearsal recording in Zoom. This lasted 45 minutes and mainly allowed me to go into greater detail into the research I did on student writing using Google Docs and the voice capabilities inherent in the tablet environment to provide feedback which encouraged very low proficiency students to expand their writing in subsequent drafts. Apart from where at the beginning of the recording I erroneously gave the year as 2009, the recording quality was good. 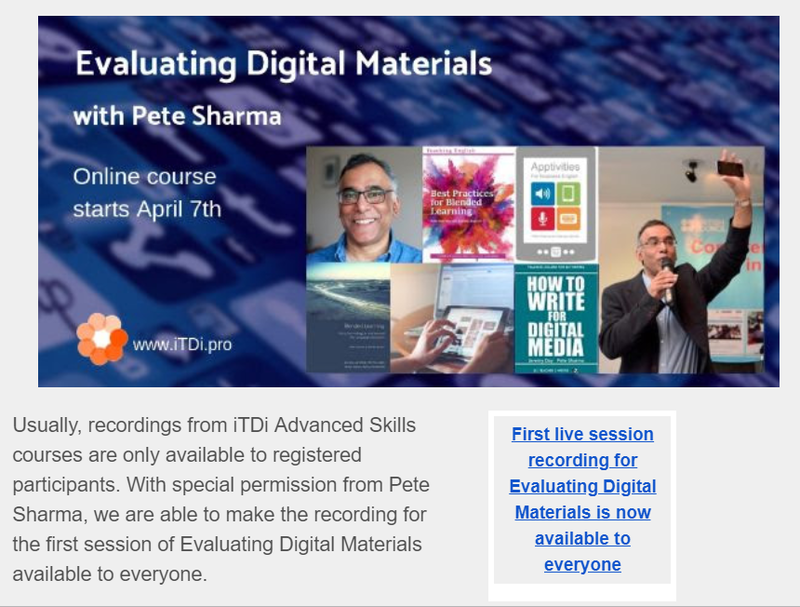 I recorded the presentation itself as I gave it to a small audience of a little over a dozen delegates at the PELLTA conference, on April 19, 2019. For the Zoom recording I used the Bayview Hotel wifi which gave me spotty throughput and resulted in some minor annoyances in playback. vLanguages is the new name of long running SLanguages, a web conference in virtual worlds (Second Life, OpenSim, Minecraft). 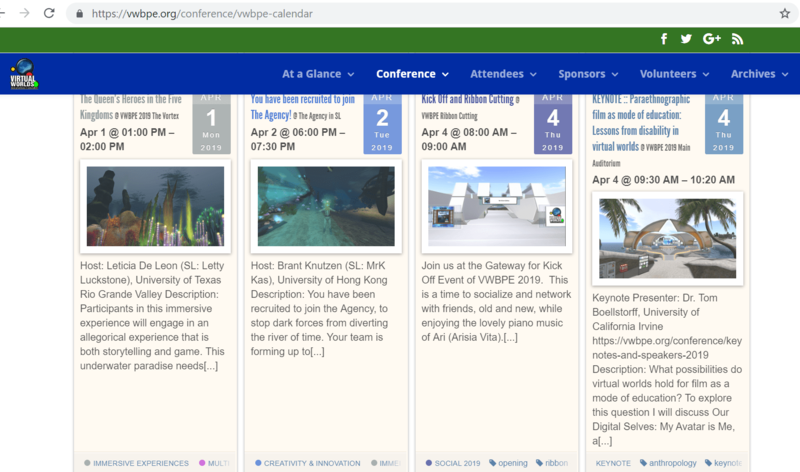 vLanguages joins the highly academic VWBPE conference in Second Life. Grand Opening VSTE Place Minecraft server Tuesday, April 9, 2019, at 8 PM Eastern! The server has been updated and a brand new world spawned. Tuesday at 8 PM we will venture in, explore, and start building a new world. Don’t miss it! Many thankds to DarkJMKnight for his expertise and time to make this happen! We use Discord for voice. As a reminder, this server is for educators. If you are using your child’s account to participate please do not encourage your child to use our server. 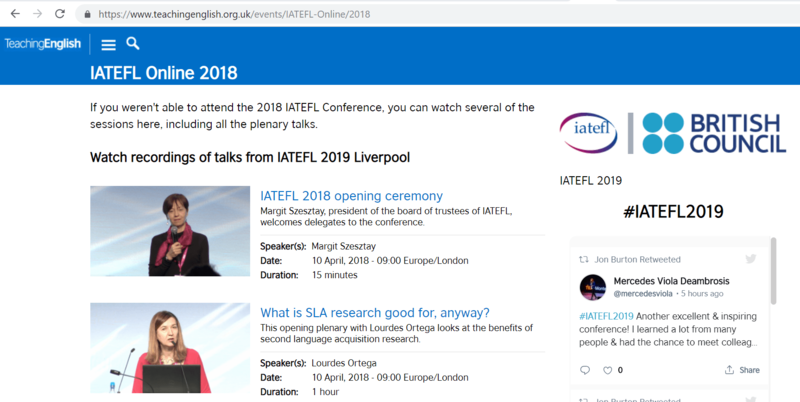 That next to last page is labeled IATEFL Online 2018 and the videos are from 2018, but there is no link to 2019 from the text in bold, Watch recordings of talks from IATEFL 2019 Liverpool. But the videos are from 2018, and the hash tag to the right is hyperlinked to https://twitter.com/hashtag/IATEFL2019, where there are also a number of videos posted. 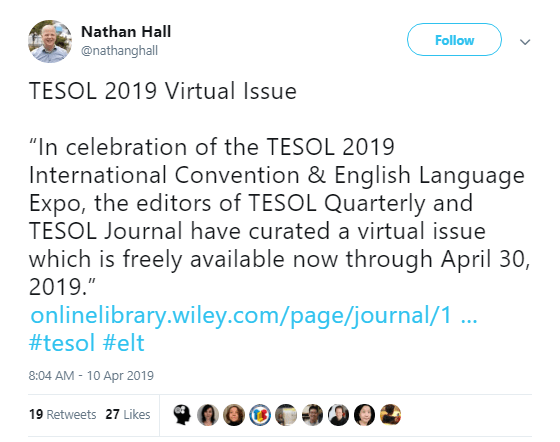 Meanwhile, a search on #TESOL2019 on Twitter, https://twitter.com/hashtag/tesol2019, turns up a wealth of photos, including lots of shots of presentation slides, but no video presentations (at least in the first hundred scrolls). 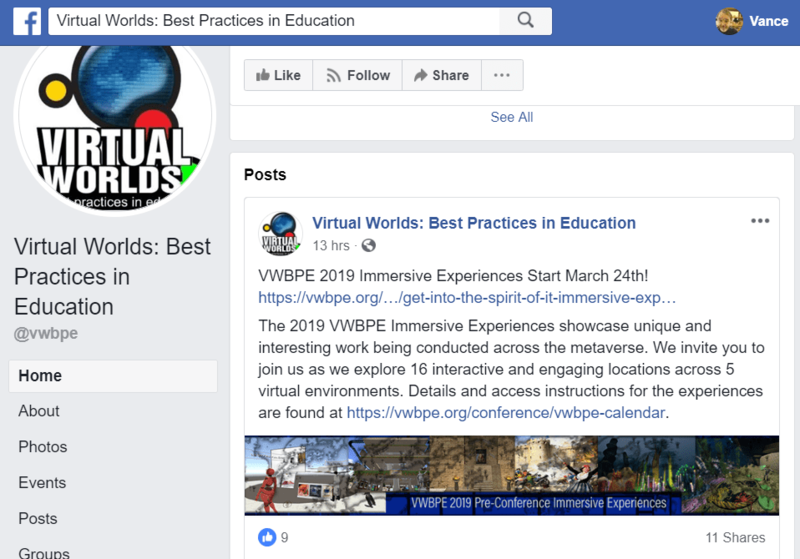 https://escaperoomelt.wordpress.com/iatefl-liverpool-2019Afterwards, I was contacted by a number of teachers who told me they were now inspired to do something similar, and by a couple of teachers who shared with me some of the escape rooms that they have already designed. If I get permission from them, I’ll share the materials with you all here. For me, the iATEFL Liverpool conference was the impulse for exploring escape rooms in ELT, as I put in to talk about them last August, with the idea that I would give myself until this conference in April to decide whether it was something I wanted to explore further.I think the reaction to the ideas has made me want to continue, especially as I see there is so much more that can be explored relating to how best to adapt escape rooms to language elearning and teaching. I hope that some of you feel the same way and look forward to you sharing what you discover here. I’m also thinking about repeating the experience of this EVO session and running it again next year. Here is a link to the EVO session Escape the Room! And my point is? ??? Sharing fosters collaboration and distribution of knowledge through robust learning networks and should be promoted in a professional organization seeking to educate upcoming generations of global citizens, starting with modeling the appropriate and relevant skills to and among teachers, encouraged through their positions of leadership.